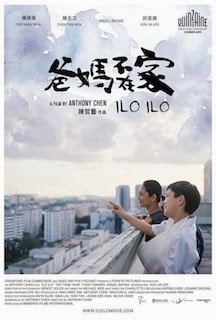 Movie Review: Anthony Chen’s fictional film debut, “Ilo Ilo” is a tremendous drama, set up in Singapore in times of economical crisis and uncertainty about the future, about the relationship between a dysfunctional family and their newly arrived Filipino maid, Teresa, who left her own 12-month baby behind to search for a better life. Realizing how turbulent the lives of these people were, she will have an important role in appeasing the problems of the young Jianle, a troublesome kid who does everything to put her in a bad position. After a hard time of adaptation, Teresa will conquer the heart of the boy with her comprehension and good attitude, fact that will trigger the admiration of his parents but also some jealousy from the mother. Jianle found the attentive mother he was looking for, while Teresa found the son she missed so much. Everyone has to deal with their own problems, in a film where there are no heroes or villains, just life as it is and its complicated processes of learning, sharing, and understanding. Promising helmer/writer Anthony Chen assures great personality in the direction, while the cinematography by Benoit Soler is memorable with its predominant whites and occasionally unfocused images. The plot was magnificently constructed, making us indignant in diverse occasions, but also making us believers of the goodness present in human nature. “Ilo Ilo” collected important prizes at the festivals it competed, including Cannes, Dubai, Golden Horse, Molodist, and Tokyo, among others, and is one of the most compelling dramas to arrive this year.